What do a certain soda machine on Capitol Hill, a 117-year-old curiosity shop on the Seattle waterfront and a 3-mile set of railroad tracks in Ballard have in common? They are all one-of-a-kind Seattle sites spotlighted by a one-of-a-kind media company named Atlas Obscura, which is dedicated to unearthing "wondrous places" around the world. With a crowdsourced functionality similar to that of Wikipedia, the site lets its users add or edit places that are a fit for its mission of documenting the "most unusual, hidden, secret or otherwise amazing places in the world." Though Atlas Obscura only recently added an official Seattle chapter, it already lists 62 such spots in Seattle, one of 24 cities in eight countries it covers. Atlas Obscura has also published a bestselling book of the world's most curious sites; and in Seattle, it's organizing special guided tours of some of these wondrous spots. Shin Yu Pai, head of the Seattle Obscura Society, took a few minutes to share Atlas Obscura's backstory and some curiously spooky Seattle sites to visit in October. What is Atlas Obscura's curious backstory? Atlas Obscura is a user-driven media company with a mission to help people experience a sense of wonder and curiosity. It was founded by author Joshua Foer and filmmaker Dylan Thuras. We believe there is something new to discover, every day — whether it’s halfway around the globe, or just around the corner. Our world is full of wondrous places, curious ideas, extraordinary people and incredible possibilities. Why has Atlas Obscura chosen to expand to Seattle? The director of events and head of the Obscura Society both grew up in the Seattle area and wanted to see a chapter develop here. There are many wonderful and curious aspects to Seattle — we have major artworks by Robert Irwin and James Turrell located at the University of Washington. We have Lake View Cemetery where Bruce and Brandon Lee, as well as the poet Denise Levertov, are laid to rest. We have the Panama Hotel, a historic landmark that’s been memorialized in Jamie Ford’s novel Hotel on the Corner of Bitter and Sweet and houses one of the last Japanese American sentos, or bathhouses. October seems like the perfect time to explore some spooky and mysterious sites. Can you name a few for our readers? Mystery Soda Machine. 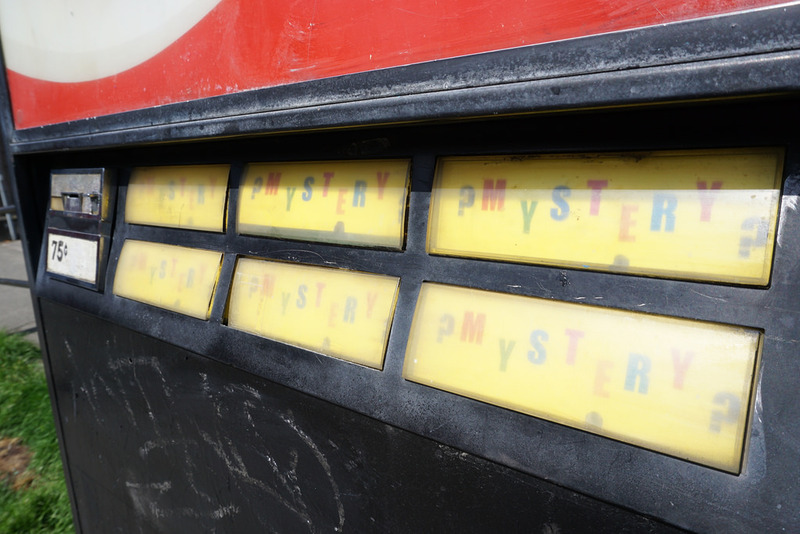 On the corner of John Street and 10th Avenue East, in the heart of Seattle's Capitol Hill neighborhood stands the world's most mysterious soda vending machine, where a button labeled "Mystery" adds a game of soda chance to your day that kids will love. "Who first installed the outdoor machine, who stocks it, and who collects the money are all a mystery." Read more here. 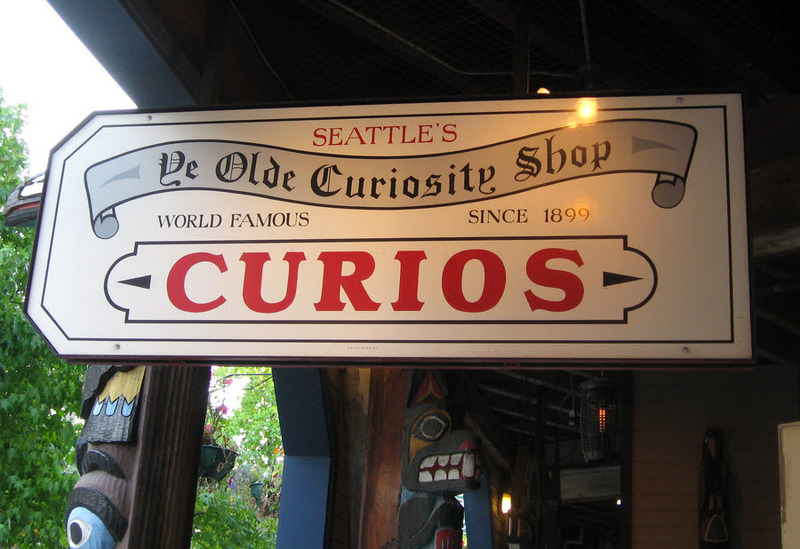 Ye Olde Curiosity Shop: Located down on Seattle's waterfront, this shop was opened in 1899 by Joseph Standley, an avid collector of Indian and Eskimo artifacts, as well as natural curiosities. If you wade through the kitsch you'll find much of his original collection, including "a large display of shrunken heads, a three-tusked walrus skull, a working merry-go-round organ, a narwhal tusk, and a pair of famous mummies." Read more about it. Nevertold Casket Company: This 2-year-old spooky little store in the ground floor of a Seattle apartment building collects rare curios which purport to be haunted. "Everything from elephant foot tables to creepy toy monkeys to human skulls are on display in the store and the collection continues to grow. Most of the items on offer come complete with a haunting story .... The array of antlers, bones, claws, and contraptions may seem a bit disturbing to some, but the Bennetts would have it no other way." Read more about it. Lake View Cemetery. Arguably Seattle's most famous cemetery, conveniently located on Capitol Hill next to Volunteer Park, this burial ground serves as the final resting place for father-and-son martial arts film stars Brandon and Bruce Lee (read about their tragic demise on the Atlas Obscura site) as well as famed Seattleites such as poet Denise Levertov, painter Cordelia Wilson, founder of Nordstrom department store John W. Nordstrom, and pioneers. Read more about it. Atlas Obscura highlights destinations families can see any time; and organizes unique events and tours as well. What events are coming up? Some of the places that we design events around are accessible to the public. We provide expert content and interpretation to help enhance and deepen visitor experience whether connecting more deeply to history and lived experience, or having a creative making experience that helps to integrate new learning. Here are a few highlights; see more events on the site. 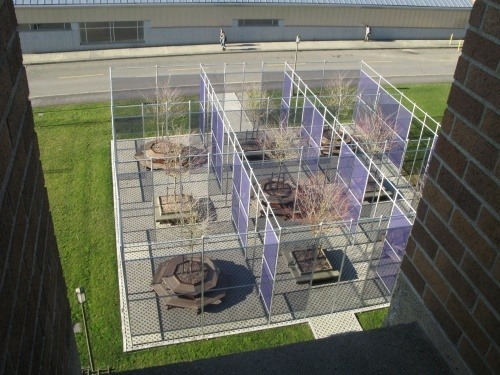 - Robert Irwin installation tour, Saturday, Oct. 22, 1–3 p.m. Michelle Hagewood, an artist and educator at The Henry Art Gallery will lead a family-friendly tour and activity related to the Robert Irwin public art piece at University of Washington, titled 9 Spaces, 9 Trees. Recommended for ages 5 and older; $10–$20. Find out more here. - Lake View Cemetery tour, Sunday, Oct. 30, 2:30–4 p.m. This Halloween Eve tour of Seattle’s Lake View Cemetery will share the history of the cemetery, the stories of Seattle’s founders and famous residents, and other Seattle legends. All ages, but kids 15 and under must be accompanied by an adult. $20. Find out more here. - Slime mold revelation class, Nov. 5, 1:30–3 p.m. And we’ve got a special slime mold illustration workshop with artist Angela Mele in early November. Participants will get a chance to contribute to an evolving slime mold map that will be part of a larger art exhibition. $70. Find out more here. Other upcoming events include a walking tour of the Denny Regrade by author David Williams (Nov. 6) and a studio tour and class with fashion designer Malia Peoples of Other People’s Polyester that includes a sewing workshop at Sassafras boutique in Belltown (Nov. 19). Why should families seek out these kinds of Atlas Obscura experiences? Recently, I organized a tour of the Beacon Food Forest with Jackie Cramer, one of the cofounders of the forest. A family that had recently moved from Austin joined the tour for the mother’s birthday – the husband reached out to me asking about tickets and brought not only his family of four, but also his sister who was visiting from out of town. The kids learned about and tasted fruits in the edible garden that they’d never seen or heard of and the adults had the opportunity to learn about the vibrant community of gardeners and volunteers sustaining this public land and resource in this city where they’ve just landed. They stayed for an hour exploring on their own after the tour ended. There’s an element of informal learning and adventure embedded within Atlas Obscura events that open people up in unexpected ways through watching, learning, doing and sharing those experiences with those that they love. What’s next for Atlas Obscura? We’re planning a nighttime squid fishing event this fall in partnership with Filson that will take place in Elliott Bay. I hope to offer a wider range of programming come 2017, when I have a few field agents up and running to help design and curate programs. My own speciality is the arts and humanities; I will be bringing on a few folks to help me out with outdoor expeditions. I’ve had a few folks pitch ideas around visiting shipwreck ruins. And my personal dream expedition would be to organize a group outing to Satsop. We also have an event planned for the skyspace at The Henry Art Gallery around winter solstice. 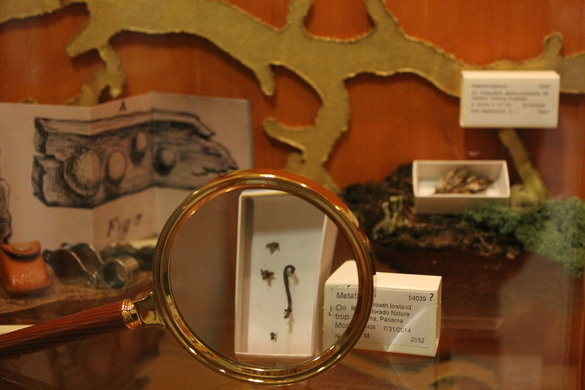 How can families help curate some of the Atlas Obscura curiosities in Seattle? Individuals may submit their ideas for events and adventures to me directly at shinyu.pai@atlasobscura.com. If families want to submit to the Atlas, they can create an online profile and submit their ideas directly to the website!